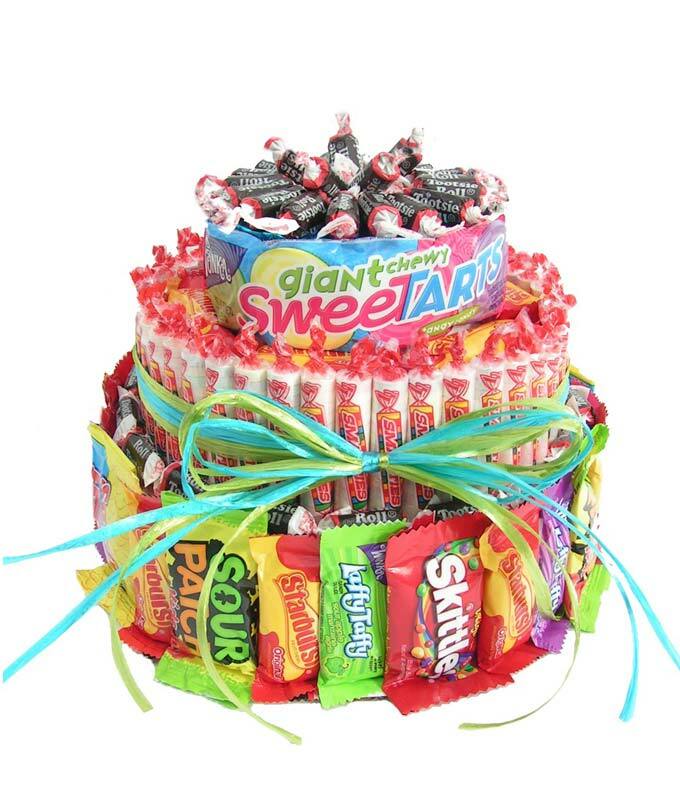 The Ultimate Candy Birthday Cake is an amazing gift. A cake shaped candy gift will be delivered to that special someone on their special day. All their favorites like starburst, sweet tarts and skittles are used in creating this beautiful and unique gift. Send them a gift that is sure to delight and not be soon forgotten! Our collection of candy bouquet products are available for next day gift delivery. Place gift orders online prior to 4pm EST for guaranteed overnight delivery or select a future delivery date. For same day delivery please click here for Same Day Flower Delivery. Delivery is available Tuesday through Saturday every week excluding some major holidays.